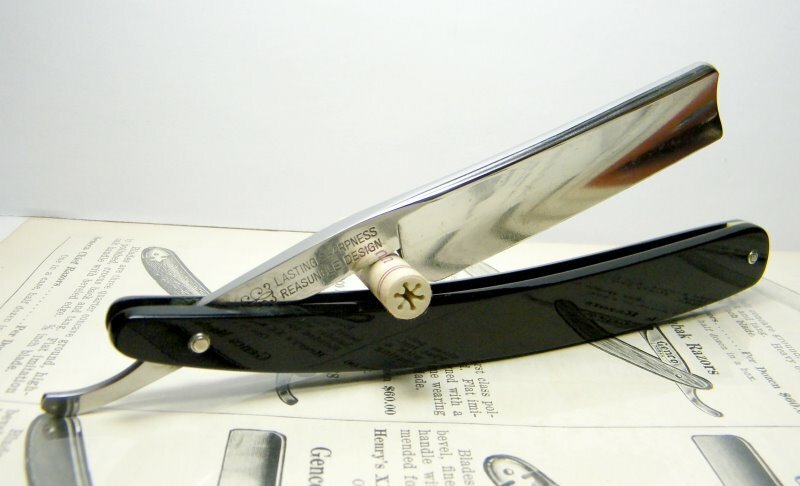 STRAZORS.com - all about classic razors - Derby Aiku, Special Made by Matsukura. The blade is about 6/8, square point, full hollow ground. 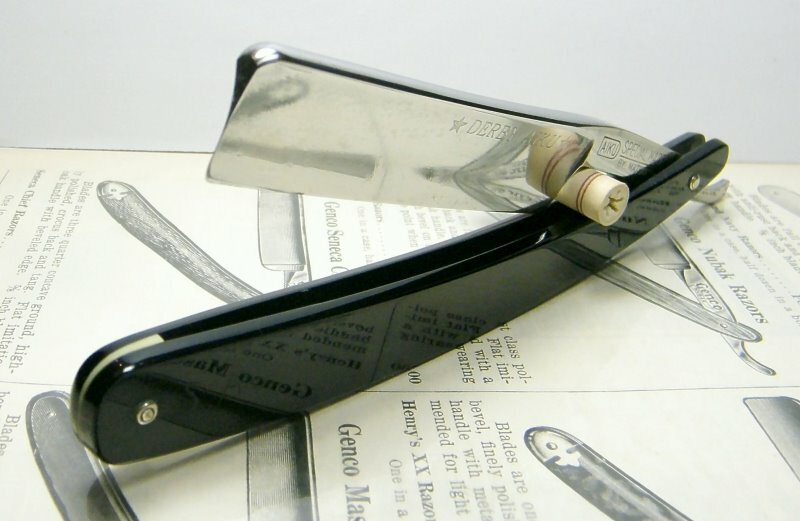 The razor was made by Matsukura Co Ltd, Tokyo. 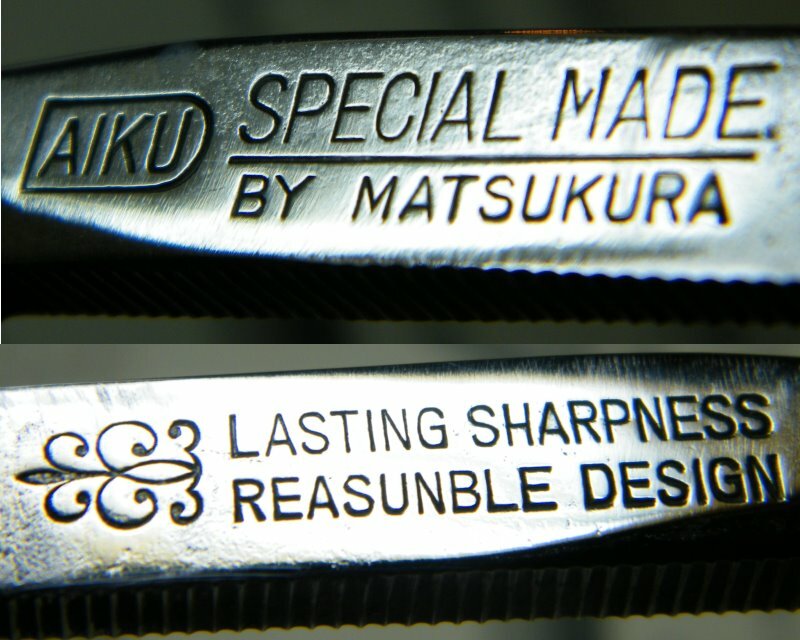 Matsukura manufactured western razors under the brands of Aiku, Hadoson and Derby. There're marks on the scales.